Very few books have that charisma that appeal to both kids and grownups and Ruskin Bond’s short story – The Blue Umbrella is one of them. The above quote holds a special place in my heart because we like to read books where we love to relate ourselves. This short story – The Blue Umbrella belongs to that category, a memorable story whose magic will keep on enchanting the readers for generations. Published in 1980, this short story is written by Ruskin Bond whose stories are more connected to hilly areas like Himachal Pradesh. The premise of this story is set in a small village of Himachal Pradesh where a poor little girl named Binya is smitten to a beautiful blue umbrella owned by a rich family. She trades off her leopard claw necklace for the captivating blue umbrella. From that moment, the blue umbrella becomes Binya’s rich possession. Slowly the umbrella becomes a center of attention among the people living in the village. Everyone in the village craves to own that umbrella. Especially Ram Bharose, a shopkeeper has his eyes set on the blue umbrella. He even requests Binya to sell her blue umbrella to him for a fair amount. But Binya refuses to part away with her prized valuable. Realizing that his master Ram Bharose won’t be able to gain the umbrella, his servant Rajaram plans to steal the umbrella for his master. But while stealing the umbrella, Rajaram is caught red-handed by Binya’s brother. When everyone in the village comes to know about Ram Bharose’s greedy intention of owning Binya’s umbrella, Ram Bharose is neglected by everyone in village. Later Binya realizes that she shouldn’t flaunt her umbrella to make Ram Bharose sad. Finally Binya happily parts away with her blue umbrella by giving it to Ram Bharose. Now everyone in the village borrows the blue umbrella from Ram Bharose for time being. 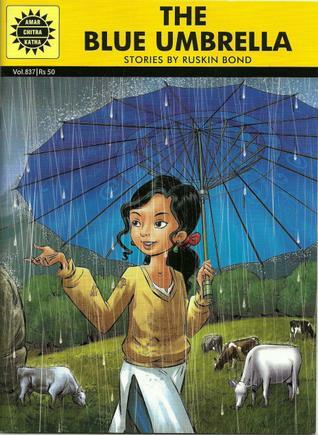 Though Binya is sad for parting with her umbrella, she is glad that she has brought a smile of happiness on someone’s face.This short story was made into a motion picture in 2005 and was adapted as a comic story in Amar Chitra Katha. 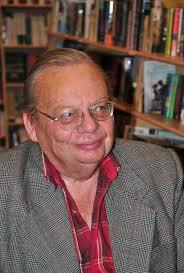 I recently read this short story of Ruskin Bond and was so mesmerized by its simplicity that I couldn’t wait to share this story on my blog. This story is about joy of giving and sharing happiness even in sad moments. Though my writings can’t match the magic of Ruskin Bond’s words, I have made a small attempt to spread this story to all my readers, young and old. I hope that once you have read this post, you will definitely buy the original copy of “Blue Umbrella” written by Ruskin Bond. Next Post Lokmanya Tilak – Have we really forgotten our hero? Very nice. Thank you so much for sharing this. Keep writing. its a fantastic story . very interesting and nice story…. thank q ……… so much helped me a lot and was great to read. Hi All, how to download this pdf version of “Blue Umbrella” ? Kindly help me. lovely book I bought and read!! Thanks for sharing & it helped me to the exam. Because we have this novel as lesson. thought i cant purchase this book of this beautiful story, i am very lucky to read the summary of this book. ThankYou Very Much For This……!!! Thanks for your encouraging words Rohit. 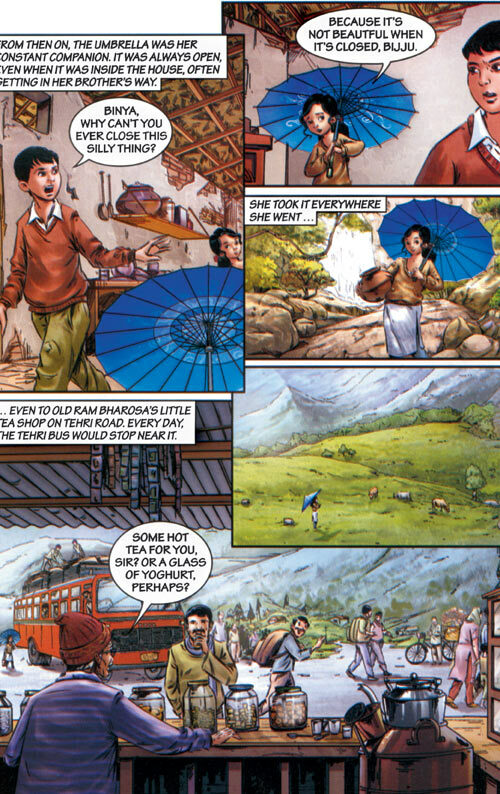 You can check out the amar chitra katha book on Blue Umbrella. It can be purchased at Amar chitra Katha website. I loved the summary of blue umbrella it was very nice …!! Awsm..summary..this is assignment for me..nd this is much enough! Im gonna read this whole book surely!tysm..